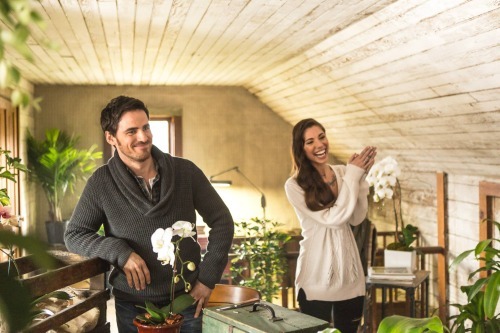 Colin and Christina Perri | The Words | BTS ❤. . Wallpaper and background images in the Colin O'Donoghue club tagged: photo colin o'donoghue christina perri behind the scenes the word music video. This Colin O'Donoghue photo might contain brasserie.